Self-regulation is the #1 skill required for future success. There is a big difference between feeling an emotion and becoming it. When we “are” an emotion, we react with no control over our thoughts, feelings or actions. Only when we feel and identify an emotion can we consciously choose to regulate our behavior. 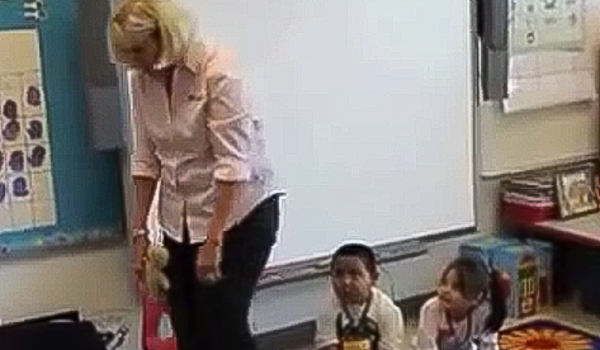 The CLASSROOM EDITION: Feeling Buddies Self-Regulation Toolkit aids in this vital process. The five steps of self-regulation are I Am, I Calm, I Feel, I Choose and I Solve. This comprehensive CLASSROOM EDITION: Feeling Buddies Self-Regulation Toolkit features a series of eight gingerbread “Feeling Buddy” dolls with expressions of universal emotions embroidered on their faces. It also includes the Managing Emotional Mayhem book, curriculum DVD, Safe Place Poster Set, Listen to Your Feelings music CD, Shubert Value Pack and more. The Buddies and accompanying materials help children learn to identify what they are feeling, separate themselves from the feeling and regulate it. As children manage their Feeling Buddies, they learn helpful language that eventually becomes their inner speech for self-regulation, emotional wellbeing and healing. 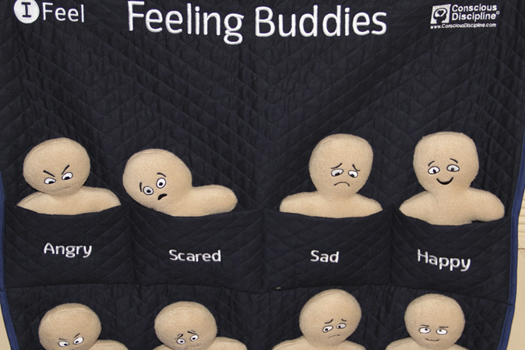 The Feeling Buddies integrate easily into your Safe Place, classroom or therapeutic practice. Younger Children: Feeling Buddies give children and adults the Self-Regulation skills needed for school success!